Jessica has appeared on ABC's Good Morning America, NBC's Today Show, CBS' Morning Show, The Late Show with David Letterman, CNN, HLN, Fox News, Hallmark's Home and Family, and E! News, and has been featured in People, Glamour, Time, and Newsweek. Jessica is available for select speaking engagements and appearances. If you'd like Jessica to speak at your upcoming event, please complete the form below and Jessica's team will be in touch to discuss details and make event arrangements. Please allow 2-3 business days for a response. We hosted POW Jessica Lynch for our annual Celebrate America service in July 2017. As a veteran, I am very grateful for the men and women who serve to keep us free. As a Pastor, I believe we should give honor to whom honor is due. 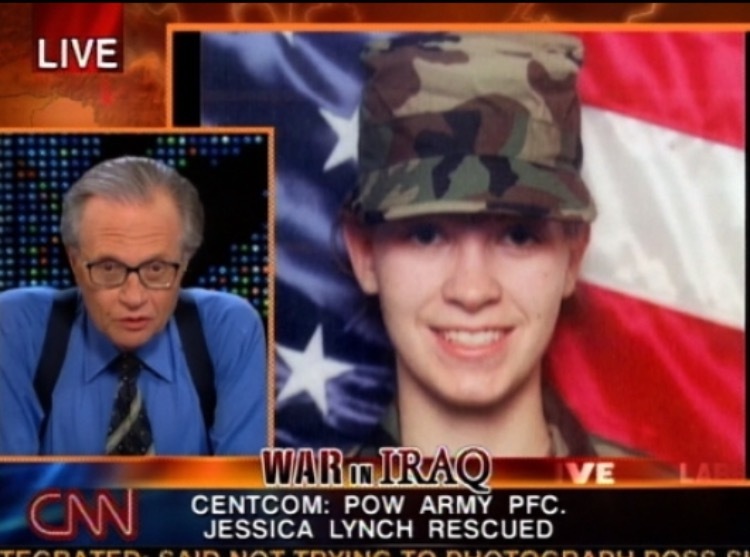 POW Jessica Lynch epitomizes the very definition of honor. Jessica Lynch is a former United States Army soldier who served in the 2003 invasion of Iraq by U.S. and allied forces. On March 23, 2003, Private First Class Lynch's convoy was ambushed by Iraqi forces during the Battle of Nasiriyah. Lynch was seriously injured and captured. Her subsequent recovery by U.S. Special Operations Forces was the first successful rescue of an American prisoner of war since Vietnam and the first ever of a woman. Jessica has been awarded the Bronze Star, Purple Heart and Prisoner of War medals. Jessica is a mother, an educator, and a motivational speaker.